Bravestone Centre Inc. | 2018/19 BOARD OF DIRECTORS ANNOUNCED - Bravestone Centre Inc. Check out the Manitoba Movers section of the Winnipeg Free Press for the announcement of Bravestone Centre Inc.’s Board of Directors for the 2018-19 fiscal year. 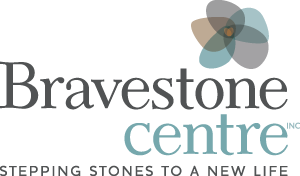 Bravestone Centre Inc. announced its 2018-19 board of directors: Heather Hill, chairwoman; Aruna Hall, vice-chair; Tannis Buzza, treasurer; Kara Moore, secretary; Jonathan Webber, past chairman; and directors, Katherine Hallick, Michelle Vandenbroeck and Tanis Forsythe. Lori Rudniski, executive director. Bravestone Centre is nationally accredited through Imagine Canada, demonstrating our high quality of service and commitment to the community. This article originally appeared in the Winnipeg Free Press Manitoba Movers column.